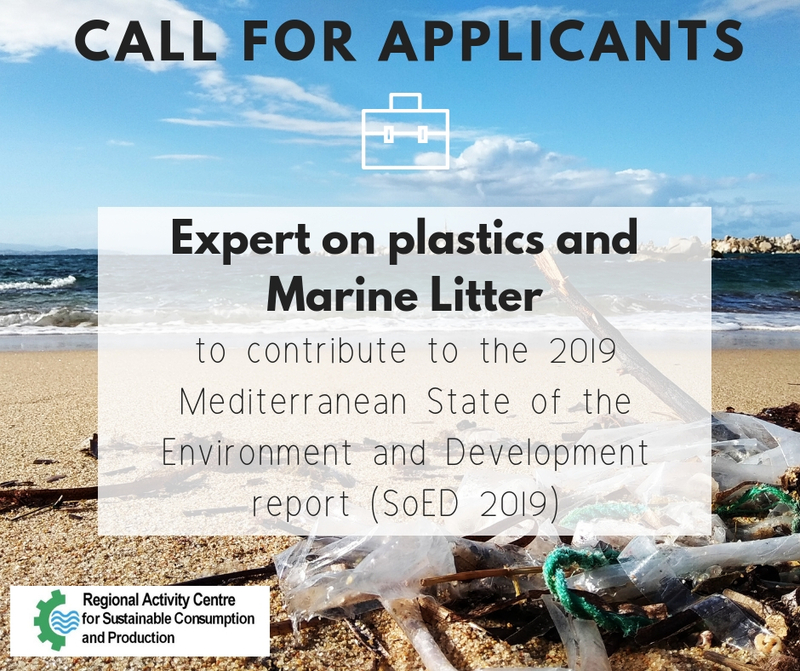 The selected expert will contribute to the 2019 Mediterranean State of the Environment and Development report (SoED 2019). SCP/RAC is currently involved in the preparation of the 2019 Mediterranean State of the Environment and Development report (SoED 2019) which is being prepared by Plan Bleu. The preparation of the 2019 Mediterranean State of the Environment and Development report (SoED 2019) was requested by the Mediterranean-rim countries in connection with the UNEP/MAP Coordinating Unit. Aiming to become a new reference document on environment and development in the Mediterranean, the report will be the result of a collective effort of the MAP system and its network of thematic experts and partners. The SoED 2019 includes a chapter (n°4) on economic sectors, their pressures and potential for a sustainable transition towards a green, blue and circular economy which is co-leaded by Plan Bleu and SCP/RAC. This chapter will present a comprehensive and updated assessment of the current status, trends and main sustainability issues of major economic sectors in the Mediterranean and related pollution. Chapter 4 includes a sub-chapter on plastics and Marine Litter. The main objective of this consultancy is to write a four-pages synthesis about the current situation, the evolution of the situation throughout the last 10 years and future trends of marine litter in the Mediterranean, with a particular focus on the main sources and drivers as well as on the responses to prevent it. More information is available in the attached ToR. Deadline for application: Offers must be sent to moutters@scprac.org with the subject “ML and plastics expert-Soed 2019” before the 10th of December 2018, midnight.